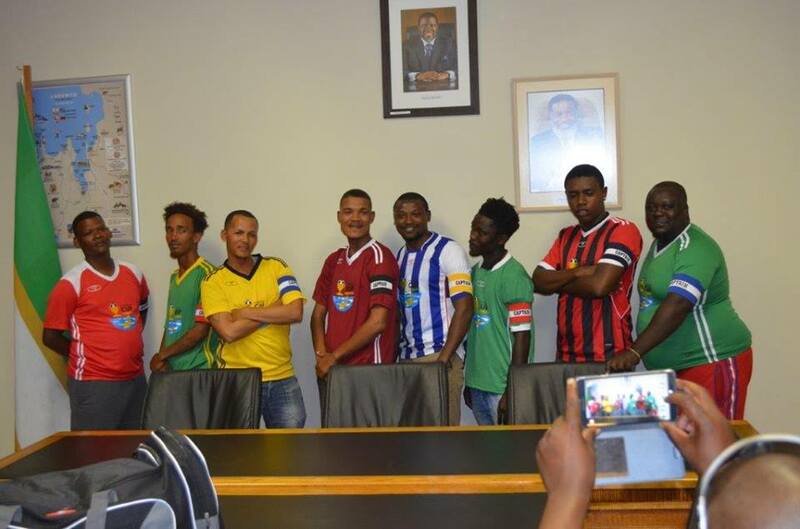 THE eight teams participating in the 2019 Harders Cup recently received brand new kit ahead of the much anticipated tournament which will see the winner scooping up a cash prize of N$100 000. 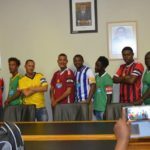 The participating teams are of Aus United FC, Youngsters FC, Atlanta Bucks FC, Man United FC, Atlantic Stars FC, Rush Ups FC, Pescanova FC and Diamond City FC received the new kit at a hand over ceremony that took place in Luderitz. Ekandjo further assured fans to anticipate a bigger event this year and with more exciting in store. “I can assure you that this year’s event will be bigger, better and more exciting and we wish to invite the entire Namibia to go to Luderitz to witness this spectacular event,” he said.